SEO WordPress development, if not done correctly, can have a major impact on your website. To optimize SEO WordPress you have literally hundreds of plugins that all claim to manage and optimize SEO for you. As a beginner or even advanced user this can be incredibly confusing and hugely time consuming. Even more popular and established plugins like Yoast come with their problems. I recently saw a post about this particular plugin giving problems and even being broken. You've got to be constantly aware of the latest security releases and release notes and what about plugin vulnerability to hackers? Another issue that comes up is what to do if you need to undo the SEO plugin you just installed! Any kind of SEO change you make on WordPress takes time and having to reverse it is even more time consuming and nerve racking! SEO itself needs research and analysis in order to select the best way to target your audience and then correctly implement the targeting.Taking your own business landscape, technical and content characteristics into consideration is part of the process, without which it would be difficult to achieve your SEO goals. On WordPress your website will need continuous ongoing content, technical, and marketing support to refresh and grow its structure, content, and popularity. If you've ever found yourself stuck in a similar situation, don’t worry because you are not alone. There are many others who are still not sure of what SEO plugins to use in WordPress and land up having to install, uninstall, search and find and then start from the beginning again. In short it's a headache when what you need to be concentrating on is your business and customer satisfaction. In contrast to this labyrinth of search and find, Exai offers a much easier and transparent alternative to SEO WordPress. With Exai, all plugins and updates are made systematically on the CMS system. You can make changes and updates to your content and keywords seamlessly. Load times are also very fast and all changes are immediate and register a fast response from search engines. 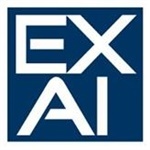 Connecting analytic tools (like Google Analytics), analysing progress and getting results has been the focus of the Exai team, especially geared with the beginner in mind. A sitemap is automatically generated and the website has been optimized to allow search engines to crawl the site with precision and accuracy. This results in better search engine rankings. And of course the good news is that this is all achieved doing organic search, so you save a ton of money. Exai can also provide you with qualified experts to manage your SEO for you. We provide you clear specs, achievable goals all at an affordable rate. To get your site up and running on Exai click HERE or to migrate your site onto the Exai platform click HERE. Keep in mind that when migrating your site you will not experience any downtime and we incorporate your SEO settings and manage your rankings so that you maintain your position and even increase it on Google.